After making a mandala with this pattern from Rescued Paw, I felt inspired to crochet more mandalas. 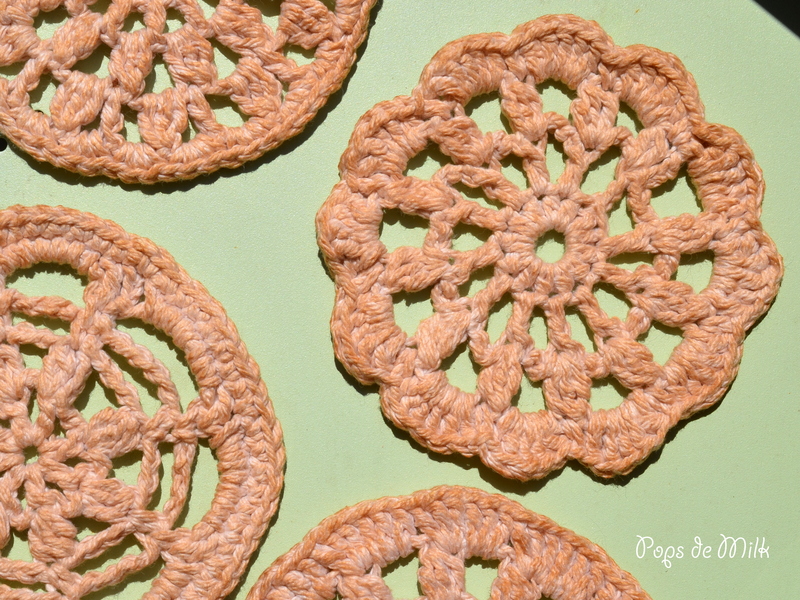 Mandalas are great for mental relaxation and have a meditative quality about them, perfect for mindless crochet. 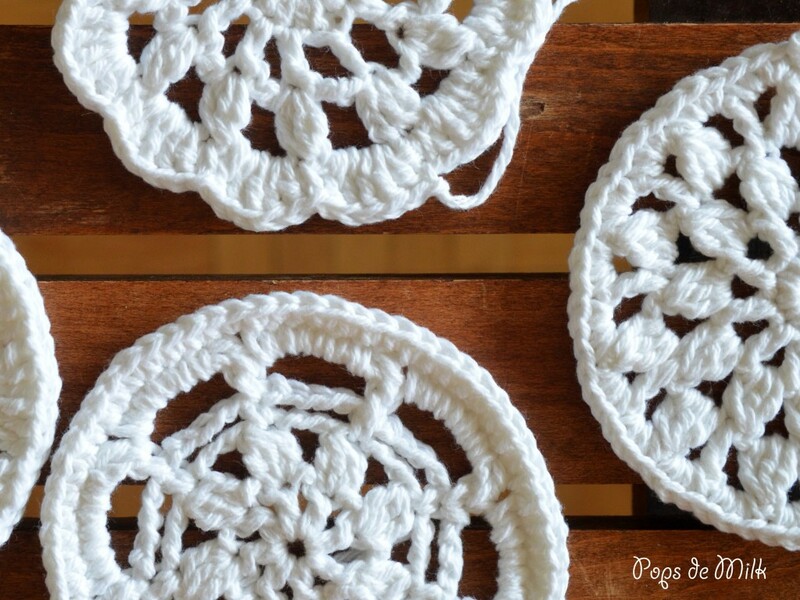 Using white cotton yarn, I started making a small mandala and then another and so far I have made four. I’m not sure what their purpose will be yet but I do have some ideas. One thing I was sure I wanted to experiment with was tea-dyeing the mandalas. I boiled about 2 cups of water and used 4 tea bags (Earl Grey, because it smells so nice). After letting the tea steep a few minutes I gently immersed the mandalas into the tea dye and let them soak for about an hour. Then I rinsed them under lukewarm water, re-shaped them and laid them flat to dry. This is the part that took the longest – cotton is super absorbent and since I didn’t stain the yarn before crocheting and I did this during a rainy weekend I felt like it took forever to dry. Also, I noticed that the top side of each mandala had a much darker stain than the bottom, could be from not rinsing the mandala enough but I really like how it looks. 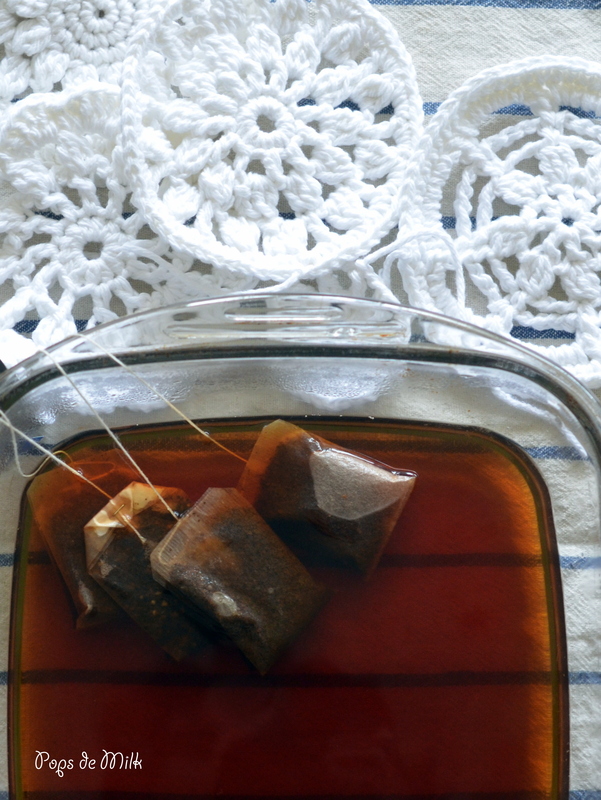 Have you ever tried dyeing yarn with tea? Would love to know your experience! That looks like great fun, May have to give it a go! Have some Lady Grey hanging around at home! Definitely try it out, it’s fun and relaxing!